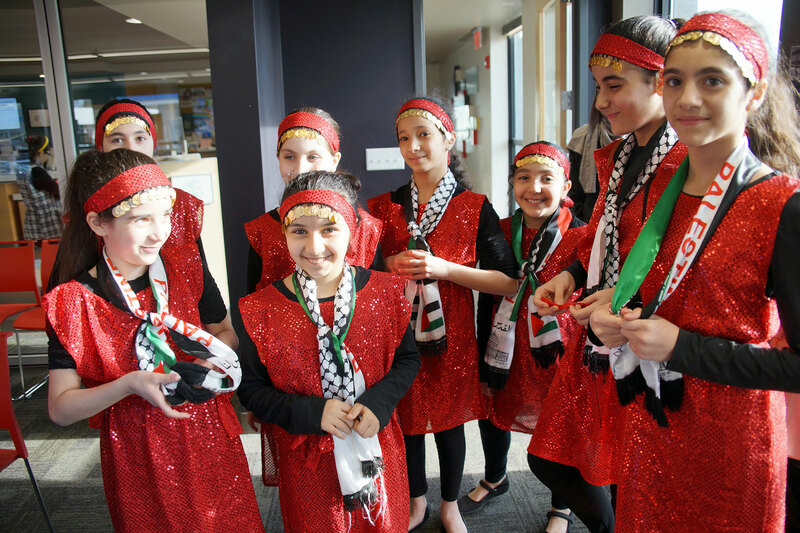 In celebration of El día de los niños, el día de los libros (Children’s Day, Book Day) and its focus on diversity, the Tippecanoe Branch of the Milwaukee Public Library (WI) hosted a free Arabic culture event for local residents. Librarians at the location had not been able to present much programing about Arabic culture, which was a population represented in the surrounding neighborhoods. They saw the children’s literature holiday as an opportunity to involve that community and engage cross-cultural learning. The Milwaukee Public Library service in the Tippecanoe neighborhood dates back nearly 100 years to 1916, when the area was a part of the Town of Lake. After a portion of the Town of Lake was annexed to the City of Milwaukee, a branch of the Milwaukee Public Library was established. The Tippecanoe library underwent renovation a couple years ago. When it reopened, the staff took a look at developing its language selection, especially an Arabic collection for children. Expanding what they can offer has been a challenge, but the librarians continue to put effort into adding resources. The Arabic cultural event was produced in cooperation with the Milwaukee Muslim Women’s Coalition (MMWC). Among the arts and crafts sessions was also story reading and the performance by young girls of a traditional Arab folk dance. Dabke combines circle dance and line dancing and is widely performed celebratory occasions. Most people do not realize how much Arabic stories have trickled into American entertainment and pop culture. One Thousand and One Nights, known in English as the Arabian Nights, is a collection of Middle Eastern folk tales compiled during the Islamic Golden Age. Popular characters and stories include Ali Baba and the Forty Thieves and Sinbad the Sailor. Hron said she was thankful with community partnerships, like MMWC. That support helps expand what the library is doing for children, with the hope to begin similar programing for adults.